I’ve written about La Culture’s events in the past and I’m continuing to do so because they are such great opportunities to get familiar with up and coming artists from Israel, enjoy a fun arty event and purchase works at affordable prices (all works are up to 500 NIS, many of which are unique pieces). 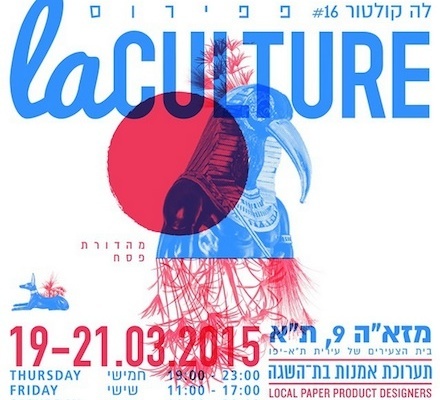 “La Culture”, founded in 2012 by Itay Blaish and Dar Rotem is an art and design fair focused on promoting affordable Art. Each edition celebrate a different theme. This is their 16th (!) edition! 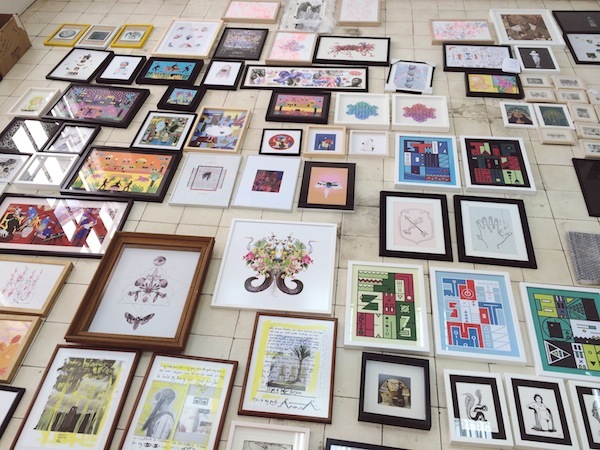 They are hosting 60 artists, emerging and more established, and independent paper designers, who will show works inspired by the themes “Papyrus”, “Gods” and “Symbolism”. Link to Facebook Event, and La Culture’s Facebook Page.